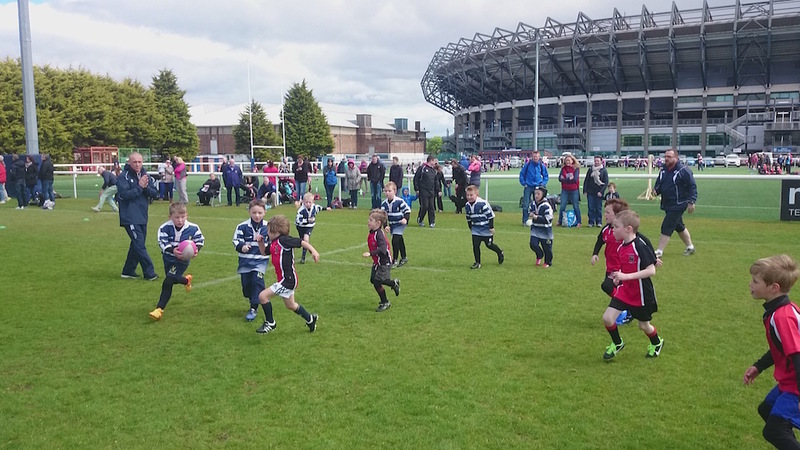 Squads representing Linlithgow P1/P2 and P3 lined up on Sunday in the shadow of BT Murrayfield stadium for the season-ending Murrayfield Wanderers Mini and Micro tournament. 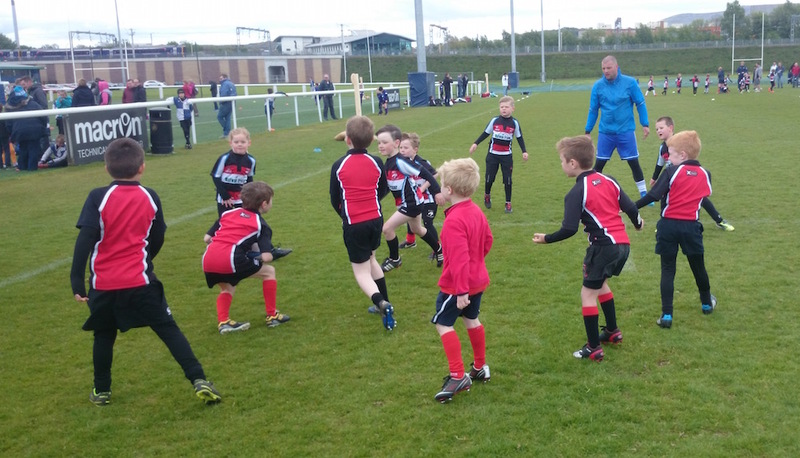 Our P1/P2 combined teams played very well against teams from Royal High Corstorphine, Livingston and Forrester, carrying all before them in a feast of tries surely rarely seen before in the EH12 postal district. Our P2 players have developed greatly over the year and are showing that they are ready to take on the more frequent fixtures that they will face next season as P3s. It was also terrific to see some of our P1s showing determination and organisation in defence as well as some great movement and (possibly intentional) dummy runs in attack. 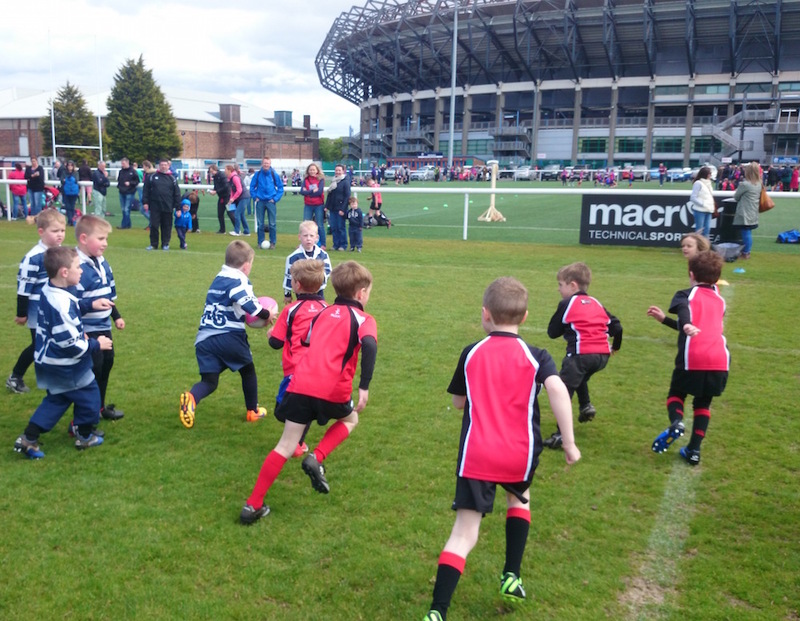 Our P3 team came up against determined opposition and were not quite able to repeat their recent tournament-topping form, with the home Murrayfield side’s defence proving particularly difficult to unlock. A wide open game against Kinross saw the sides trading try for try, with the Fife team edging it by one score. Good running and support play in games against Livi, Cougars and eventual joint-winners Forrester saw Linlithgow finish with 1 win from the day, just outside the play-off places but having enjoyed a tournament played in great spirit and pleasant late-season conditions. There was a final surprise to come, as former Scotland and British Lions captain Gavin Hastings turned up to hand out the medals: a great way to finish off the competitive season, with the Fun Day at home to come next Sunday.